Having time on my hands, I decided to renew my interest in knitting, crocheting and sewing. My closets and drawers are crammed full of stuff an I really don't need anymore "stuff" so thought I would venture out and try selling on Bonanza. However, contrary to what I just said I do like to search for "things" and do wind up buying some "things". So have decided to take the "things" that I am buying and add them to my booth on Bonanza. My other interest are reading, bowling and doing genealogy research on my family. I also enjoy playing pinochle every second Monday with a group of friends. jashafada doesn't have any items in their booth! 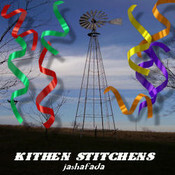 Such a pleasure to do business with jashafada: prompt, efficient, VERY easy to work with. And she’s such a sweetheart Can’t go wrong here. This is what Bonanza is all about!